Where have you been? Where are you right now? Where are you going? Who have you been? Who are you right now? Who are you becoming? This is the You who does not judge or condemn. This is the You who writes without expectation. This is the You who knows that everything that has happened to you, regardless off the pain and the joy, happened to further your journey. This is the you who knows that it is not the suffering that matters in this journey of life, but rather the lessons learned. Life is learning how to fly. If we didn't stumble and fall, get lost and found and lost again, we would not know the exhilaration of soaring once more. We would not know joy. We would not experience giving and accepting compassion. We would not know love. Beautiful peace of fact about the greatest gift of writing is discovering who you truly are,post is good too,good to share. 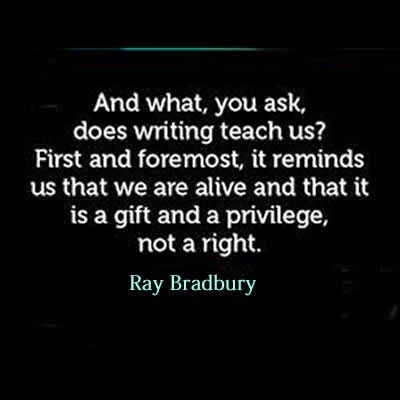 Informative details about the greatest gift of writing is discovering. It is really good one. Thanks for sharing! When it comes to writing an english literature dissertation, I frequently recommend http://dissertationwriting.services/ to my friends. Good luck and keep it up!